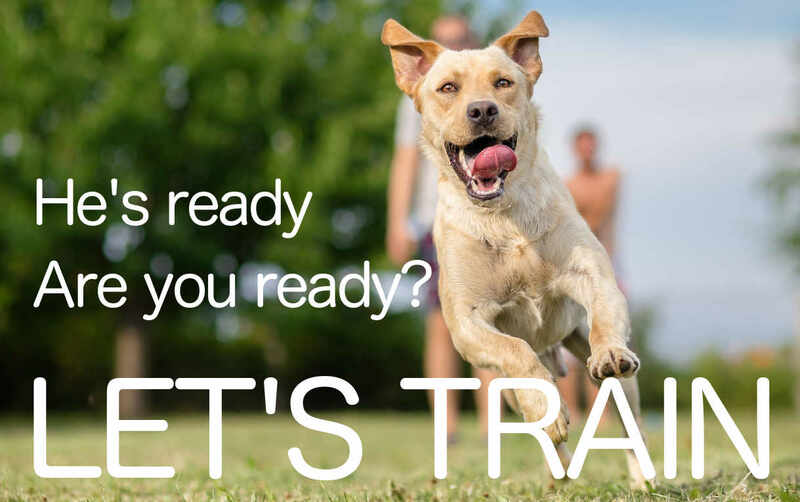 Are you struggling to train your Labrador Retriever? Do you need a little help? 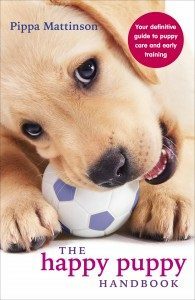 We have detailed step-by-step Labrador training guides, books, videos and expert advice. From obedience training to fetch. We’ve got you covered! You can start training today with The Labrador Site. A trained Labrador is a pleasure to own, and training your dog should be fun. Most people have problems at some stage, and with a little help you can overcome them. Before you begin, make sure that you have the right Labrador Training Supplies and Equipment. Common problems for Labrador owners are dogs that drag their owners along behind them, dogs that won’t come back when they are called, and dogs that jump up and push past people! We can help you with that. Check out the links below and browse through our entire training section for more resources. All the training advice on this site is reward based and effective, and provided by experienced labrador trainers. We hope you find it helpful! For a complete guide to raising and training a healthy and happy puppy don’t miss The Happy Puppy Handbook. I never write reviews, I cant tell you how impressed I am with this site. I just got an 8 week old chocolate lab named Hollie 12/14/2018. She is a doll, but a typical puppy. I’m finding this site to be very helpful and insightful. Especially with already having another black lab (hunter 4 yrs) I used the online guide for sitting it only took Ms. Hollie 10 minutes to learn to sit!!! I plan to continue to use all the suggest training methods! Thank you! We have a 6 month old chocolate lab he is following commands as sit & stay. He walks very well, we can not get him to stop jumping on us as well as the biting at our ankles. Any suggestions how to stop this behavior? I have a 9 week old female lab. She barks and yips alot!!! And for no apparent reason. We are working on the biting and nipping, but no success on this barking. Our previous lab never barked so this is a new problem for me. Any suggestions would be greatly appreciated by me and my neighbors! I have a 6 month old chocolate lab that just wont stop digging holes in our yard…how do I break her of this??? I have a 3 month old labrador puppy. When in the kitchen he pokes his nose whenever the fridge is opened. One day when I opened the fridge he jumped up and licked up a cake which was kept in the bottom row. Please suggest how to stop the pup poking his nose into the fridge each time. Unfortunately, Labs love to smell, they love to track and when the fridge opens up there’s a whole ton of smells and tasty ones at that, seeping out. Your best bet is to claim the space in the kitchen as yours. Do not allow your puppy in the kitchen when your in the kitchen. That will also cause problems in the future if you allow this to continue. In most kitchens, the floor material will change and that line is the first place to start, once you cross that line, don’t allow them to enter with you, make it so they can not enter over this line. Be patient as well, 12 weeks old, he still is learning his new world and wants to explore. But work on this not only when you have to be in the kitchen, make it part of the training. If he stays outside that line award him with a small treat and great praise. A great treat I use for the kitchen is Sweet potato or Peanut Butter ice cubes, Keeps their attention for a while and it’s not the fatty processed treats you buy at the store. Hope this helps and I wish you all the best. Also remember to drain your puppies gas tank through a good steady exercise regime for better training results and a healthier Lab. I have rescued a 1 year old lab with NO training. She jumps, BAD, and she cannot walk on a leash and isn’t housetrained. Any suggestions? I love her personality and she has already adjusted to my children (except for the jumping)! Any suggestions on training an older puppy would be nice. I have a 3 month old Black lab. When we try to put a leash on him he just wants to bite it, and hold it in his mouth. Is he too young for leash training? We have a couple of acres and he has not been on a leash before. Any tips? I have raised a lab puppy named Luna who grew up to be the best dog at walks and walking right by my side and here’s why; I starting walking her around my neighborhood TWICE a day from the moment she came to my home, I made sure that the leash was kept as short as possible and lifted above her head so she won’t bite it (she couldn’t see it) and any time that she would stop, I’d say “Let’s go!” And run a little bit, and always made her walk right by my side. Within a week she didn’t even need to be on her leash without walking by my side. NOTE, it is very important that you leash train OUTSIDE of your home and backyard, the puppy needs to be somewhere new and unusual where it looks for you for comfort. Last week I just adopted another lab, an 8 week old chocolate named Henry. We just took him on his first walk yesterday. At first he sat down and did not want to go, but with the leash held high, short, and lots of “Lets go’s!” He was loving the walk within minutes and was trained by the time we were done. Have patience and remember the two most important things are taking the pup to an unusual place, and keeping his leash held high and short so he stays right next to you and does not bite or even see the leash. My black lab pup is 3 months. She will poop outside when I remember to take her outside every 2 hours daytime. At night she is continent for 7 hrs in her crate BUT today she ate her own poop off the carpet. HELP. Why did she do that? Labs will eat EVERYTHING. Shoes, paper, couches, including their own poop. In fact, most dog breeds eat their own poop. If you don’t want this happening, I reccomend picking his poop up everytime he goes outside and throwing it out. These dogs are bred to put things in their mouths, and they most certainly will put poop in there too. Someone, please help me. My beautiful, golden, 1 year old lab girl eats rocks. WHAT?? you say ? Really?? Not possible – well, true….she eats rocks. I am terrified that she will die. We live in rural PA on acres of land and she has always had free run. All of a sudden , this is a new thing. Now, I’ve put a soft muzzle on her when she goes out. This is killing me. Can someone give me ANY advice or give me a better idea or tell me how to train her not to do this???? Any retrieving dog is bred to put everything possible it can in their mouth. And they love picking up rocks. Each time you catch your dog with a rock in its mouth, you can teach it “Drop”, which will come in handy with a multitude of things later. Also, don’t worry to much about him getting sick. Unless it’s a giant rock, or something toxic, dogs bellys are really acidic and can break down pretty much anything. And if they don’t you’re more than likely to just see it in their poop. Hey,I have a 4 month old black labrador and he keeps jumping on my boyfriend and bitting his pants, I can see that he is playing but there are 3 weeks now and we don’t seem to manage him.We all leave together, but I give him the food and water and I play with him, but every time my boyfriend gets out to play with him after few minutes he starts bitting.Any advice? Thank you !!! I have a year old male lab. I am having trouble with him roaming and stealing stuff in neighbors yards. One neighbor has complained . I don’t want to chain him up all the time. Any ideas what I can do? At what age should i tie my lab puppy now it is 1 month . The answer to your question is to find another home for the puppy where someone will love and pay attention to him. You should never be tying a puppy up at this age, if you have to tie up a puppy, you should not have gotten a puppy. Hello, how are you? Thank you for sharing all this content. Would you have any teaching content to vaccinate my dog? Thank you! I am just giving a background on my pet lab to start with. “In mid-Aug this year, I got a 44 days old male fawn lab pup (in India I have checked many pet shops are providing these pups in between the age range of 36-48 days), he was weighing 2.5 Kg at that time. From day one my pup is active and having his food 3 times a day. He is very active, bites, eats and licks everything which reaches his mouth. Probably because of this in 2nd week of bringing him home he had diarrhea and it was a nightmare for me for a week. We immediately took him to vet and he was completely fine in a week. I could able to train him on commands like sit, sleep, shake hands and even Hi Five. But as we live in a flat in 10th Floor and also due to my busy schedule and my wife currently 9 month pregnant we are unable to take him regularly outside for a walk (which I know is necessary) for his discharge. He is crazy for food, and become restless at exact time of his food time. Now he is 4 months old and all his initial 3 vaccinations has been done. He weighs 20 Kgs now and is healthy. He becomes hyper active when he sees or meets children. I have to keep a close watch and a tight hold on his leash whenever he is around children. 1. Currently we are collecting his potty and urine discharge by directly placing a container beneath him as we know by now that when he is ready for discharge. The problem is that we don’t want to make this as a practice and want to find a solution to this. Whenever he is in his crate he do notify us for his nature calls and never dirty his crate except 2-3 times when we didn’t reacted to his call. We want him to also notify us when he is not in his crate and we can take him to bathroom or find a different way. We are also thinking to train him for doing it on a potty pot or a container which can be cleared by us later and will be a one time activity for us. But we are not sure if this will work out. Do you have any idea how others deal with their pets having same situation or living in a flat where the pet has limited access to go out. 2. He still bites (softly, but the teeth are sharp and can hurt at times) while playing or cuddling and I am worried, as, soon, we will be having our baby. My lab should not hurt the baby or get jealous. How to make him friendly and train him how to be around a baby. My vet and the pet shop owner both are saying that he is too young for giving training and should wait till he gets to 5-6 months old. So please suggest if you can advise for any other alternatives. Do watever you can to get your puppy outside at regular intervals, likely every 2-3 hours. I have a 7 week old lab puppy, and this has helped to relieve the issue of voiding in the house. While their teeth may be sharp, labradors are RETRIEVERS. The light biting is called mouthing. These dogs are instinctly bred to do this, as they require to apply gentle pressure when retrieving game such as birds and ducks. They are considered sporting dogs. I firmly believe that puppies can be trained from an early age, around three months. Reward your pup for good and obedient behavior. I was in an apartment, with my lab, in a similar situation. I used to work from home, so even though my wife was in office, I used to take my dog out for a walk once every 3 hrs and never tied it nor locked it in. Fortunately my puppy got very well potty trained, also is good with strangers and new family members, even kids. Hi I have a 4 month old lab who every time I put a leash on him he refuses to move. If he even sees me get the leash he runs to the nearest corner to evade me. I have had him for a month and no amount of praise or treats gets him to move. I am at my wits end. If I drop the leash he will pick it up and follow me but the minute I pick it up he sits down. And I thought I was the stubborn one. He will walk with me without the leash fine. But there are leash laws where I live. Any advice? Thats nuts. My lab goes bonkers with just the site of the leash. Oh my gosh, thank you, thank you, thank you! I love my lab, but yesterday when I was walking her, she pulled so hard I face planted. This website is amazing. Thank you for all who contribute. Bella and I started training today and I could already see her starting to respond. Your whole attitude toward dogs is spot on! Thank you! Hi Zain, Please read this article: https://www.thelabradorsite.com/how-to-cope-with-a-naughty-labrador/ I hope you find it helpful. I enjoy reading your articles, but can you help with our 4yr old lab gun dog, a rescue dog, that is scarred of barking dogs. She will mix with & play with quiet dogs, but runs away when she hears a dog bark. Any ideas of how to stop this? Although she’s not a puppy, if you follow the advice given above then you should see an improvement. You might also want to consider have a session with a professional behaviorist to see if they can suggest anything specific that might help. Best wishes, Lucy.